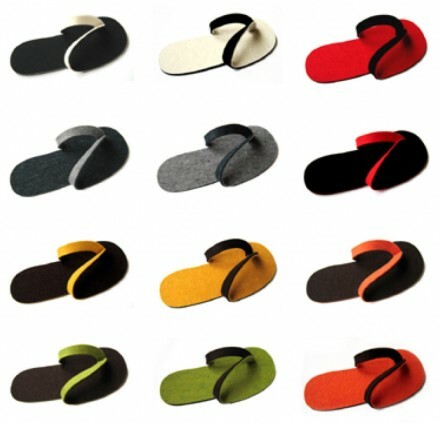 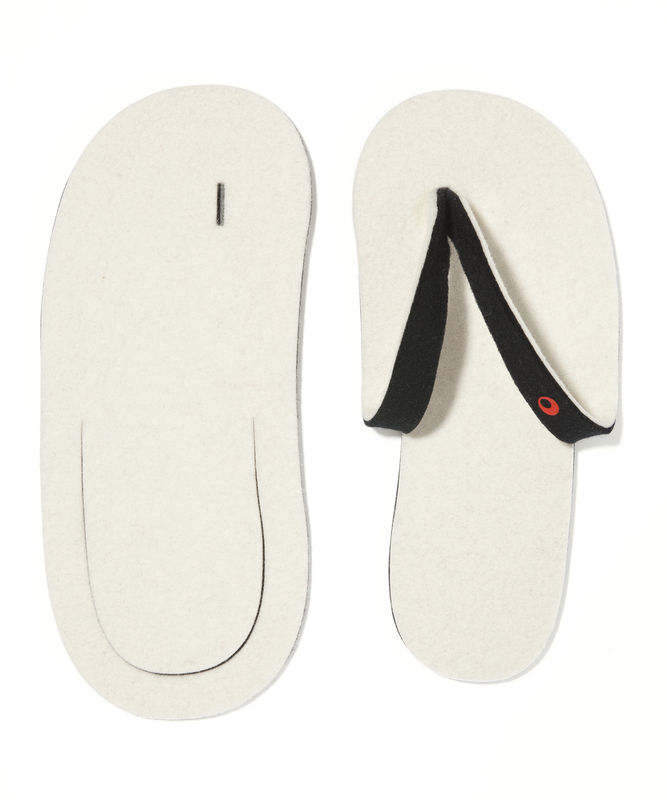 The most basic ‘sole shape’ is turned into a slipper through a minimal intervention. 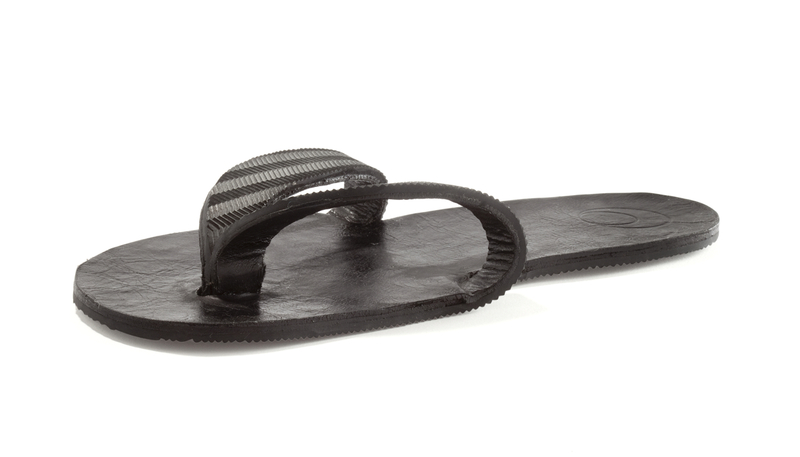 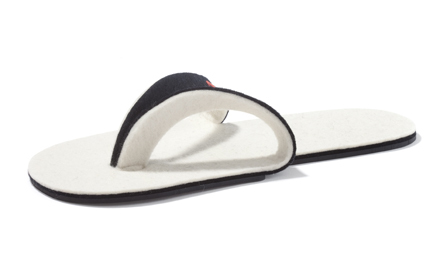 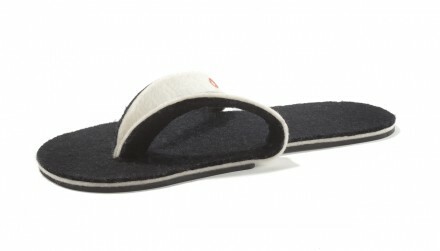 An incision in the sole creates the thong of the slipper. 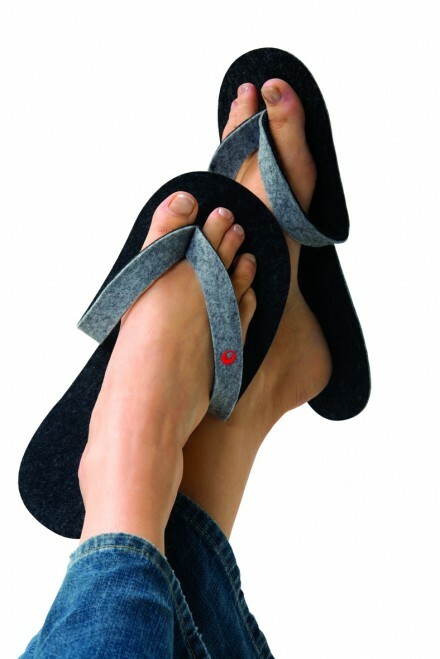 By folding it upwards and attaching it in the front, the sole becomes a product. The closure system can be opened again, which makes it easy to return it to the initial form and store it flat while traveling. The Sole Mates are provided with an anti slip sole.